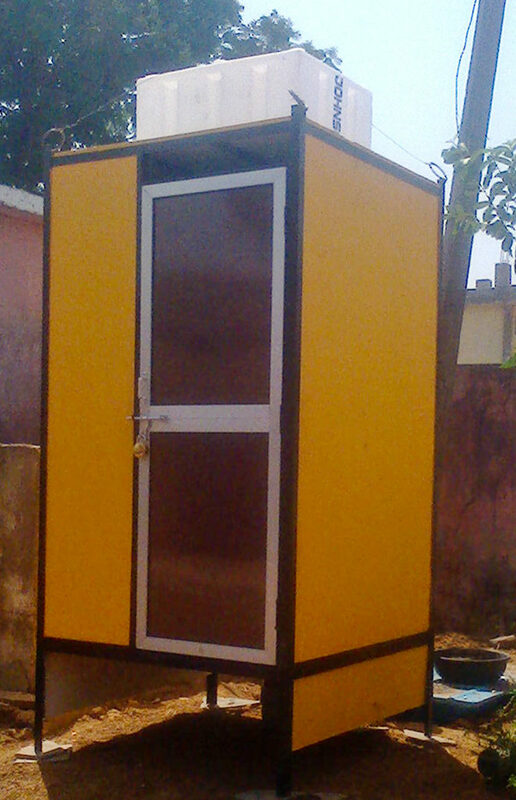 Aerocon Bio Toilet – Go Green Solutions Pvt. Ltd. Toilet Cabin with Indian WC of Size : 4’ x 4’ x 6.5’ with all sides and middle partition of 50mm aerocon board & roofing of 12 mm board. Floor having European commode with 16mm vboard. Front side having Aluminum panel with 4mm Hilum sheet door panel. Height of toilet from the floor will be 1 feet. 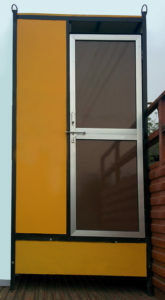 Total toilet cabin will be oil painted from outside and inside Accessories : Hardware, complete of Indian W.C. & Wash basin 1no. CLF bulb 1no., Exhaust fan 1no.